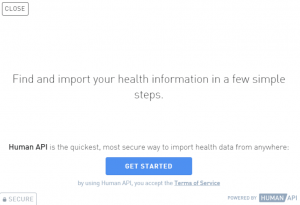 Learn how to connect your EMR, Fitbit and more! For connecting your Fitbit, scroll to the bottom of this post for a quick video. First of all: What’s an EMR? An Electronic Medical Record (EMR) is the electronic documentation of a patient’s health history including medical information such as a patient’s chronic medical conditions, diagnoses, medications and treatment regimens, laboratory tests, immunizations, surgical history and other information. EMRs can be accessed by all of a patient’s current healthcare providers and promote patient-centered care by allowing collaboration amongst healthcare professionals. Click on the cloud icon in the top right corner of your screen. 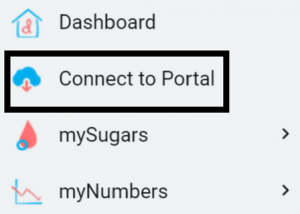 Or you can click on “Connect to Portal” on the left side of your screen, in the sidebar. From there, click on the type of provider you would like to connect. Search for and select your provider. Enter the credentials you have set up with your provider. Please allow 24 hours for the data to show up in your profile.